NEW YORK (WABC) -- There is a Veterans Day honor that was decades in the making for a Brooklyn family. A soldier, killed in action more than 60 years ago, is finally getting the respectful farewell he's due. Bill "Willie" Giovanniello was missing in action 65 years ago in Korea. Just months ago, the U.S. government identified his remains. "I almost couldn't function for the rest of the day," said Rocco Giovanniello, nephew. Almost his entire skeleton had been buried and moved three times, in South Korea, Japan, and again in Hawaii, without knowing exactly who he was. He was only 22. He wrote this letter to his family the day before he was killed in April of 1951. "I hope you had a nice birthday and I wish you a hundred more. No matter how old you are, you still look like a doll of 21," read Elizabeth Giovanniello, niece. His family has cherished this letter for years, along with pictures of Uncle Bill. He was one of five sons of Italian immigrants in Brooklyn. The family is relieved to know what happened, and to see the way his service was honored as his body was flown back to the United States, and then driven by motorcade to Port Jervis, saluted the entire way. "He's one of 80,000 and most of them have not been identified. And it just so happened that they were able to disinter this grave and piece this whole thing together with bone identifications and dental identification and then a particular serial number that was part of his undergarment," Rocco said. It was his clavicle that was the greatest ID and matched military doctor records. The family is glad the military is redoubling efforts to find all Americans missing in action in the next five years. "The life that he missed, never got to have, and that makes me sad, and that his parents and his brothers didn't know enough to know that they found him," Elizabeth said. 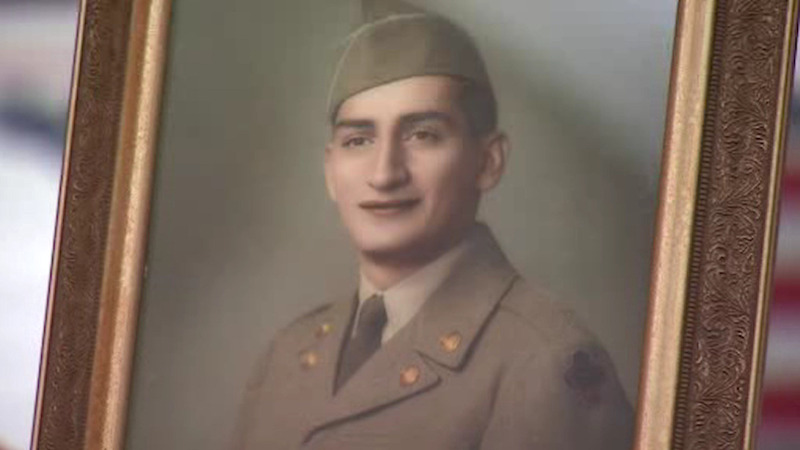 Bill Giovanniello will be buried with full military honors Thursday in the family cemetery.